Zeon Zoysia sod has become the most popular/known variety of Zoysia in our “southeast market” because of its specific characteristics. WOW!!! That sounds like a fantasy right? Well yeah BUT … As technology marches along, so does the ability to study and improve on cultivars of plants and turfs. The improvements made in Licensed Sod types in the 3 decades I have been installing sod are remarkable. Disease resistance and general resilience to less than ideal environmental challenges is arguably the greatest area of improvement for the latest hybrid sod name brands. They all seem to have their own claim to fame and some of the claims are downright miraculous. It makes it very difficult to know what to believe. Zeon has been around a long time now and is so popular or recognized that there are farms selling “Zeon” that are not actually licensed growers for Zeon. Let me back up a bit and provide some perspective. I am a landscape contractor, not a botanist or formally trained expert. I have extensively researched sod cultivars and the improvements of the last decades to gain a basic understanding but my knowledge is based on personal experience, successes and failures, from installing sod for 30 years now. When I was a teenager in Fayette county, the only practical option for lawn grass was a bag “Kentucky 31” fescue. It made the lawn green again while the winter season had turned most of the weeds brown. If the grass grew green and looked good after the snapper made a few passes, ever body was happy. 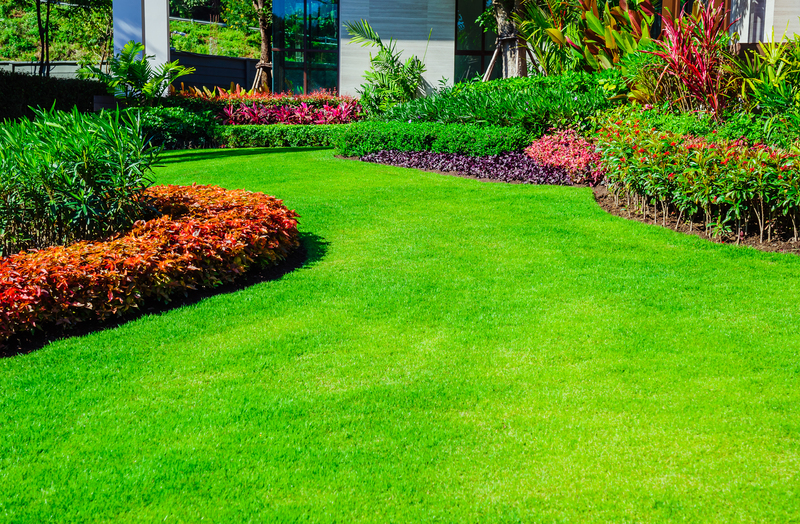 In 2019, most customers dream about a lush, thick, weed free lawn that’s “maintenance free”. ALRIGHT wait just a minute. A lawn is a living and ever changing thing. “Maintenance free” just isn’t possible….. IS IT? Well maybe, as long as you’re ok with defining “MAINTENANCE FREE SOD” as mow it every week, water it twice a week, fertilize it twice a year, and spray pre-emergence / post emergence, and pesticide treatments as needed. In other words, hire a GOOD lawn maintenance company and treatment company to maintain it for you after you have the best quality turf you can justify, installed. This seems to be working well for 90% of the customers I meet. That means 10% are at least “interested” in how to achieve the best lawn they can. There is a lot to be said for “do it once, do it right”. To understand what I mean, let me provide a brief history lesson. After WWII, a cross between Zoysia tennuifolia and japonica was created. In 1955, a joint effort between USDA and Georgia Experiment Station produced and released a turf grass named Emerald. Since then, there have been many named & licensed varieties. Blade sizes range from very fine “emerald” to very course “myers”. If you want an exact match to existing sod, you must know what variety was installed. Many types are now discontinued but here are a few. North Georgia turf “NGturf” in Whites burg currently carries Zeon, Marvel II, and El Toro Zoysia. Atlanta sod company carries 6 different types of Zoysia, including Zenith, Zeon and Zorro. Super sod carries Zenith, Zeon and Leisure time. We at landscape Innovations install 3 to 1 Emerald Zoysia lawns over Myers or thicker bladed varieties. The majority of customers need the shade tolerance and like the thinner blade look because the blade size blends with Bermuda in neighboring areas. Some studies were done around 15 years ago that found many of the available emerald sod offerings had significant genetic variation from the original licensed “Emerald Zoysia”. The original varieties have now begun reverting back to varying stages of purity (as much as 30%) from the original genetic code of “Emerald” Zoysia. To read the article please visit our tips page from the home screen or click HERE. Buying certified or licensed Zoysia varieties means you are getting the exact blend the license covers and all the best traits the patent holders’ bread into it. Every year or two, it seems there is a new variety available on the market and I am sure there are some really good ones. The challenge is knowing which one is best. Many are phased out and replaced with new varieties. Why? Well some of it is pure capitalism. Some varieties loose a patent or become too expensive for growers to justify paying a license for. Some are replaced by truly better products. Zeon seems to be the longest running “new” hybrid so it stands to reason that it is a safe and justifiable upgrade if the “best” is what you’re looking for. Follow proper soil preparation starting with grading that spreads out water runoff to avoids saturated soil spots in the yard, then amend soil by breaking up compacted soil and mix in sand and compost materials in the top few inches. Make sure the area is getting 4 hours of direct sunlight to promote the healthiest conditions. Choose high quality sod suppliers with a proven track record. Water properly to establish new sod roots while soil is still loose, then continue less frequent watering as roots become established. Most lawns perform much better with regular watering 2-3 times per week. Heavy watering may be necessary during drought conditions. Mowing frequency will vary depending on watering and temperature. Mow frequently enough to only remove 1/3rd of the foliage at a time. Too much time between mowing intervals removes too much of the leaves that support healthy growth and will create a weak lawn. If these steps are followed, you will be very pleased with your new lawn, Hybrid and licensed or not. Depending on the source, Zeon Zoysia will cost from $60- $130 more per pallet, adding 13%-28% to the final cost of a sod project. For this extra cost, will you be 28% more pleased with your new lawn? It might be 5% more shade tolerant in a perfect world. It might be denser, therefore less likely to dry out as fast by a small percentage. It might even be slower growing but my personal experience with it in real world circumstances has not convinced me. I do believe there have been significant genetic improvements achieved by crossing varieties of zoysia grass and other grasses for that matter. After all, our current “Emerald” Zoysia is one of them. Only time will tell how good the cross breeds are and what the market will bear from a cost perspective.